Club Penguin Cheats by Mimo777 Club Penguin Cheats by Mimo777: Club Penguin Pin Cheat - LION STATUE PIN! 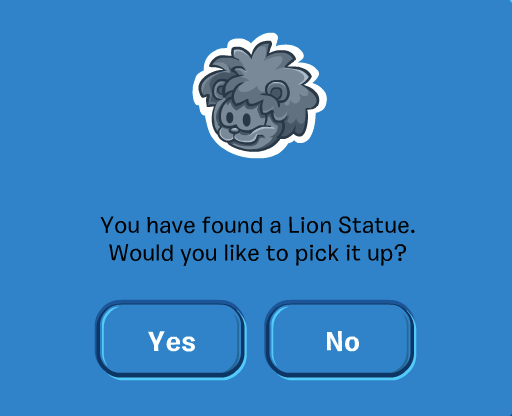 Club Penguin Pin Cheat - LION STATUE PIN! Step 2. Now go to the Mine! The Spoiler Alert Episode 17: April Fools! Penguin of the Week: Yoshisixfour! The Spoiler Alert Episode 16: Kenya! Muppets World Tour: Kermit Meet-Up Times! Disney Channel's Game On: Muppets World Tour! Club Penguin Pin Cheat - PINATA PIN! The Spoiler Alert: Muppets and Shamrocks! Penguin of the Week: Piggy76890! Furniture & Igloo Catalog: March 2014! Penguin of the Week: Heartsweet50! Muppets in Club Penguin: Official Trailer! Airplanes! In the Furniture and Igloo Catalog! The Spoiler Alert Episode 13: Cookies!